My posts have been seasonal as of late, so what better way to continue the trend, than by focusing on another fall "favorite"… the flu. Yes folks, its flu season once again. Are you washing your hands regularly? Have you gotten your flu shot yet? Sure, a quick stab (ouch!) in the arm and a sore bicep for a week can help ward off the dreaded "bug", but what can you do from a nutrition stand point to prevent spending your winter with a box of tissues in hand? Besides being passionate about EATING your daily requirements of vitamins and minerals, I am also huge on acronyms (who knew?) - it's how I got through six years of higher education! So before I bombard you with facts… simply remember -RACE. Not far off from an athlete's everyday vocab - this should be easy! R- Rest! I cannot emphasize this enough. Be sure you're getting enough of it. Long days at work, exhausting training sessions, stress surrounding the Holidays + darkness and cold weather = a recipe for disaster. Don't skimp out on sleep! A- Vitamin A! Carrots and other orange colored fruits and veggies, like sweet potatoes and cantaloupe, aren't just important for eye health. Retinol and carotene (forms of Vitamin A found in food), also play a role in immune function, helping fight disease/illness, and heal injuries. Liver, broccoli, and leafy greens like spinach and kale, are great sources of Vitamin A. With a well balanced diet and consumption of fortified foods, the Recommended Dietary Allowance (RDA) of 3,000IU can easily be met. C- Vitamin C! Obviously! Vitamin C (or ascorbic acid) is a powerful antioxidant that our bodies require for a number of metabolic reactions. It is also a natural antihistamine, and probably the first supplement that comes to mind when you start to sniffle. A study conducted at the University of Helsinki (Hemilä, et al) in 1996 suggested supplementation at 2000mg per day only shortened the duration of the common cold in the "average population". 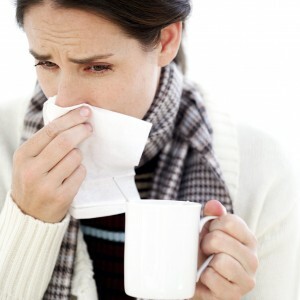 Three populations saw benefit with supplementation in the prevention of cold symptoms, reducing incidence by up to 50%! Skiers, soldiers training in arctic climates, and marathon runners! Essentially, populations under large amounts of oxidative stress due to exercise. Fact! Mega doses, up to 2000mg per day are safe to take, but why pop a pill when you can EAT vitamin C? It's no secret that I'm a huge fan of food, and trust me; the chances of not meeting your needs (just 75-90mg) from natural sources are slim to none. I believe the last known case of scurvy was on a boat in the middle of the ocean sometime during the 16thcentury when someone ran out of food and decided to eat a lemon… or was it limes? (History = not my strong suit, but you get the point!) Citrus fruits, berries, herbs (like parsley), and spices (like chili peppers) are all high in Vitamin C. Ascorbic acid is also used to fortify and preserve many foods and beverages - check the food label, you'll be surprised! E- Vitamin E! This fat soluble vitamin, found in wheat germ, nuts, seeds, olives, vegetable oils, and leafy greens, has antioxidant properties that boost the immune systems defense against invading bacteria and viruses. It also plays an important role in the production of red blood cells. Just 15mg per day should do the trick! Zzz- Zinc! Required for proper immune function, zinc also assists in the breakdown of carbohydrates. Zinc can be found in high protein foods like beef, pork, and the dark meat of chicken/turkey - the best source being Oysters, 576% of your DV (8-11mg), in six! Legumes and peanuts are also good sources. S- Selenium! Also required for proper immune function, this trace mineral can be found at its highest potency in 1oz of Brazil Nuts - a whopping 796% of your Daily Value (70ug, according to the FDA). Other sources include canned tuna, lean proteins, and whole grains. Bonus fact - adequate hydration, is also important for preventing the flu. Drink plenty of water to flush your body of toxins. Hot liquids like green tea and soup are also soothing to a sore throat. One of the many reasons why chicken soup is a staple when you're feeling under the weather. Plus, being fully hydrated will also improve performance during training sessions. So what have we learned today? 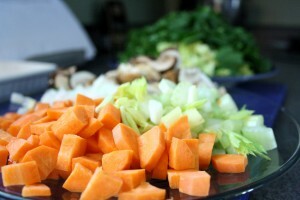 Proper nutrition can help fight the flu. So wash your hands, prepare for yourRACEwith a well balanced meal, raise a glass of water - toast to health and wellness, and hit the sack early for a restful night full of "Zzz'S". You'll be well on your way to beating the flu this flu season!